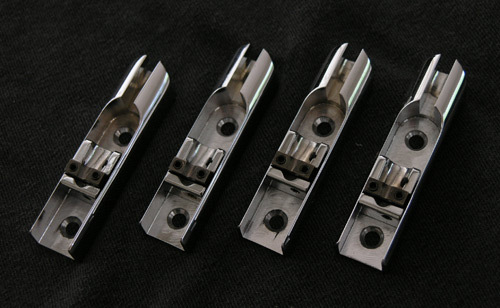 ABM designed and manufactured, these individual bass bridges are only available in chrome finish. They are machined brass, and include mounting hardware. 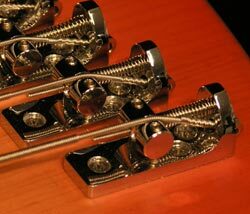 They can accommodate a 5/8" (16mm) string-to-string spacing.